UCS | Luis Asqueri - Universal Consulting Services Inc.
Luis Asqueri is the Vice President of Health and Business Strategies at UCS. 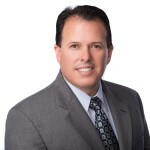 With over 25 years of experience in healthcare administration, Luis oversees the development of the company’s healthcare services and financial management growth strategies, nurtures client relationships, and develops new business opportunities. He focuses on providing professional services that help clients navigate strategic and governance efforts while improving operational efficiency. As a retired Naval Officer with 27 years of service, Luis has served in various leadership positions, including principle advisor for financial management and fiduciary processes to senior Navy leadership in support of MHS and business reform initiatives. Luis possesses a wide range of leadership, healthcare administration, and financial management experience, including significant experience developing policies and procedures that promote effective resource management. Luis holds an M.B.A from Southern New Hampshire University (formerly New Hampshire College) and a B.A. in Economics from the University of North Florida.